The blackest moment on HBO’s “Curb Your Enthusiasm” is when the Black family (surname and race) evacuated Hurricane Katrina to Los Angeles where Larry David is their savior. The Blacks are as cheeky as you would expect New Orleanians to be. Not only do they plant themselves in the “Seinfeld” writer’s home, but they also invite their cousin Leon Black, who is local, to move in for a taste of the good life. 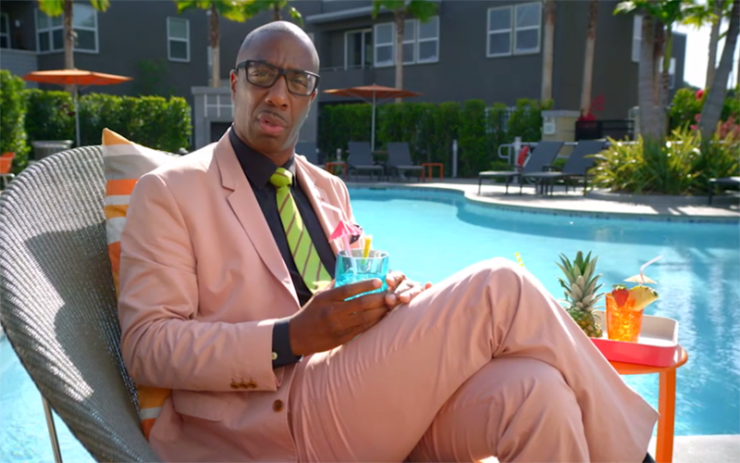 Brilliantly played by comedian JB Smoove, Leon becomes Larry’s road dog, his partner in crime. With Leon’s arrival, Larry can now navigate his world of one faux pas after another with the swag of a brother. The two actors are hilarious together. JB, however, has been quietly building his empire since arriving on the scene in 1995 on “Def Comedy Jam.” From BET’s “Real Husbands of Hollywood” to blockbuster films like, “Date Night” to guest spots on dozens of sitcoms, JB has every form of broadcast covered. And he still finds time to stay true to his first love, stand-up comedy. He is currently touring.